TIP: You can save products to your favorites list if you log in Created in honor of pianist extraordinaire Maria Choban whose preferences ring towards the darker side of things...black keys, Black Sabbath, black coffee, no cream! Brazil, Honduras and Ethiopian beans, roasted just the far side of mahogany and evincing velvety bittersweet notes. 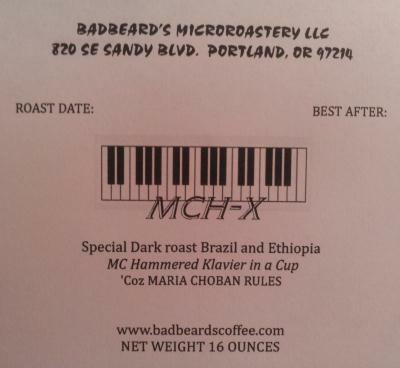 "Not having Badbeard coffee at home for the past several weeks and now having it helped me realize something. 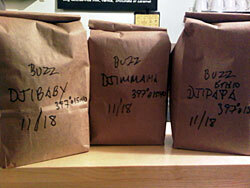 Justin Kagan is a true coffee roasting genius. Damn."